Unfortunately, my beloved Acronicta afflicta all came down with some sort of disease or virus, which made them die during molting and threw their digestive systems out of whack. It was a very sad few days for me as I watched them succumb to the sickness, but I took the opportunity to preserve a bunch for further research. That was my ultimate goal, anyway, but I sure was hoping for a few to make it all the way to adulthood. If I’m lucky I’ll get another batch of eggs this summer to raise! Anyway, here is what I think is so great about A. afflicta. Would you really think these are the same species? 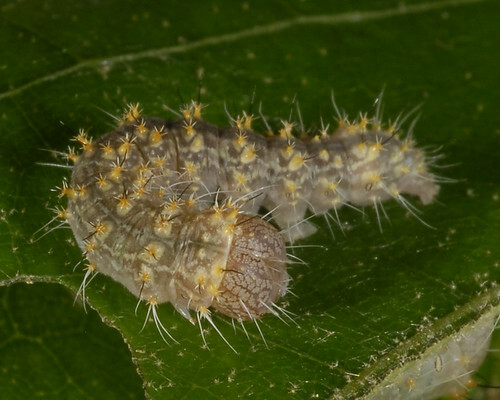 The first is a 5th instar, the second is a 6th instar. 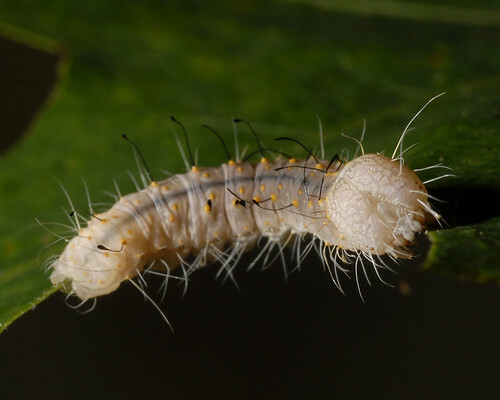 Posted on June 22, 2011, in Acronicta, Acronictinae, Invertebrates, Lepidoptera, Noctuidae. Bookmark the permalink. Leave a comment.